Superbly written, which is why the book transcends the basic story of survival. Steve Callahan's ample opportunities for introspection weren't wasted, and this makes some of the best reading. Also, reading this book is like watching a movie where the hero seems most certainly fated to die, buy you know he won't(or "doesn't" in this case). I eventually wanted to just skip to the rescue because I couldn't bear to read of any more disappointment, disillusionment, equipment loss or failures, or physical or mental suffering. Right up there with my favourite true-life read, "Hacksaw". I'm an avid sailor, but I've never been out of sight of land. This memoir offers a lucid first-hand glimpse of life adrift in the middle of the Atlantic, literally thousands of miles from salvation. 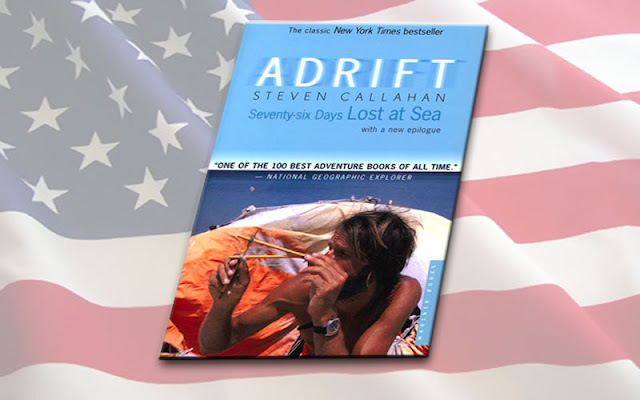 Callahan captures the highs and lows of his 76-day ordeal in simple, sparse prose that focuses largely on his daily struggle to distill fresh water and catch fish with rapidly failing equipment in sweltering heat and choppy seas. Did I mention the periodic shark encounters? All in all, this is a gripping tale that left me feeling quite grateful for the myriad modern conveniences that we all take for granted. Somehow Callahan's daily intimacy with basic survival also left me longing for a simpler life, one with fewer proxies standing between me and my basic needs. This book is an excellent ocean survival story that kept me thoroughly entertained from start to finish. Honestly, I couldn't put the book down. This book will change the way you look at your life. After you finish reading it, you won't take the simple things in life for granted anymore. If you enjoy true life adventure and survival books, then I suggest you read this one, its excellent.